How to structure your job search for FP&A positions. What skills from Audit prepare you to work in Corporate Finance? How much of a learning curve was there in the new job? Did I ever feel overwhelmed during the transition? How challenging is the work compared to audit? How did your work responsibilities and work-life balance differ after switching to corporate finance? How to let recruiters know what kind of job you want next. Bob Berchtold: This is Abacus. I’m Bob, the CPA. My guest today is, well, me. 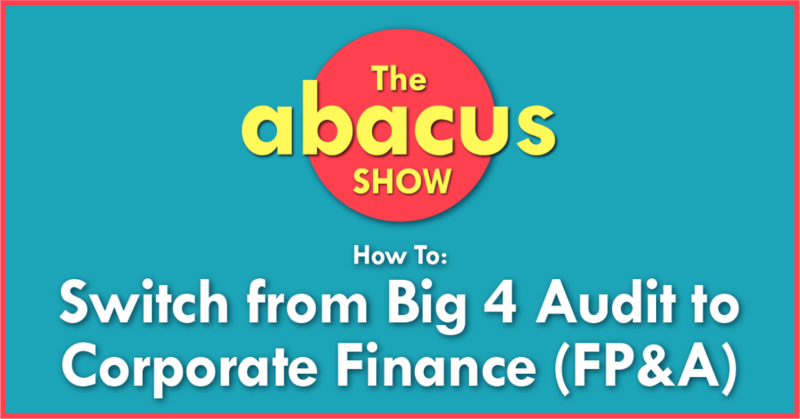 I’m going to tell you all about how I made the jump from Big 4 audit to corporate finance and share a few things I learned along the way. All this, coming up on Abacus. Let’s go. 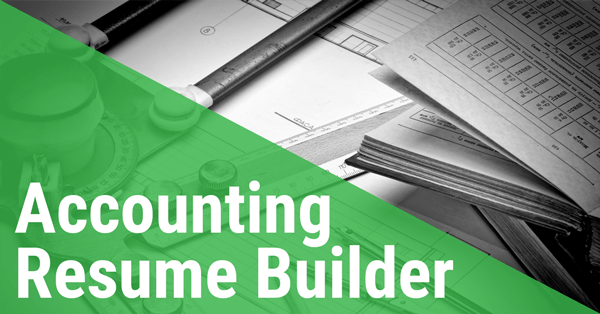 Learn everything you need to know to have a successful and fulfilling accounting career, whether you’re on the partner track, or you’re making your own path. This is Abacus. Hey everybody and welcome back to the Abacus Show where I’m spending the whole season helping you learn about new and interesting accounting career paths. Got a little bit of a special episode for you today. I actually had a guest cancel right around the same time I saw a Reddit thread asking for advice about switching from Big 4 audit over to corporate finance, which happens to be something that happened to me back in the day. I figured instead of interviewing someone else about their career story, today, I will tell you a little bit about me and my career story. I’ll walk through the questions in that thread and offer any advice I can about how to switch from Big 4 to corporate finance or FP&A. As always, we’ll have some links and supplemental information over at abacusshow.com/308. Most importantly, there’s a big blue, can’t miss it, like a comment box link. You just click on that and it’ll take you over to our private LinkedIn group and the discussion thread for this episode. Over there, I will be answering any questions you all have about making the switch and hopefully a couple months from now, you’ll all have a brand new corporate FP&A gig. Without further adieu, let’s get right into the interview me. All right. That’s weird to say. All right, guys. Let’s get right into it. All right, so let’s dive right into this. I know you guys have a bunch of questions, and I’ve gotten a few off the internet, and there’s a few I’ll just take as I go. Really, what you all are wanting to know is how did I make the change from Big 4 audit to corporate finance or FP&A, financial planning and analysis. I’m just going to take these questions in order. Do you feel that audit provided you with a good foundation? Absolutely. Most importantly, what I learned when I was in audit was how to act professionally and how to communicate well with people throughout the organization. How you communicate status to your bosses and your teammates, how you summarize and present information in a way that makes it easy to read and understand for your manager or an executive can really make the difference between really good at this and being pretty mediocre once you move over to finance. Let’s take, for example, a monthly budget to actual variance reports. To do this, you need, obviously, the basic skills of pulling the data, putting it together in columns, doing the math to see what the variances are, right? You just drop it into Excel, and you’ll probably have a template once you’re done with your first month anyway. That’s when the actual work starts, you need to talk to someone about each variance, right? You need to understand what happened. Then you take these variances, and you decide, hey, there’s three to five of these that are really big or really important to the business, and these are the ones that I want to call out and make sure that control or CFO or whoever’s going to be reviewing this knows about right away. Those are the ones I’m going to include in the summary when I type up a quick email and send over the file, right? Then, I have to be ready to answer any questions they might have about any of the variances just in case something’s important and I didn’t know about it. That all sounds pretty simple, you’ve done stuff like that in audit before. The difficulty comes when you have to say you work with 50 different people for 50 different variances and 50 different offices across US. You’re trying to schedule calls, you’re trying to get emails answered, you’re trying to get all this done in like two day turnaround. That’s when your ability to work well with others and communicate professionally really, really gets the job done. It’s not going to get done if you can’t get everybody to work with you. Think of this like getting PBCs from a client. You need to know how to build relationships with these folks over time so that they’ll give you need when you need it, and that includes just building rapport with them, explaining them why it’s important and just letting them, hey, block off some time this day, every month because I’m going to be calling you because your division always has some questions. You also need to know, if someone’s not getting back to you because maybe they’re busy, you’re a low priority for them, you need to know when you need to bring in, say, your boss or copy their boss on an email when they’ll kind of pull rank. Obviously, you can’t do that all the time, you know this, you’ve worked with clients before. They’re going to get pissed at you, and then they’ll never give you anything again, so it’s a balancing act. These are really important skills that you did learn in Big 4 that maybe don’t even realized you’ve learned. On the other hand, you’ve got your technical accounting skills. I’ll be honest, those are going to come in a lot less handy once you move over to corporate finance so it helps to understand how accounts all roll up and how the P&L works and the account trees and all that because you’re going to be digging into variances and if the variances in two very similar accounts are going the opposite way, you can kind of go, oh, they just moved this to a different account, no big deal. So you’re not going to be booking entries or drawing T-accounts on the white board, that kind of stuff. Also, in my experience, once you switch over to FP&A or corporate finance, you’re going to still need a strong working knowledge of Excel. There’s two reasons for this, there’s being good with formulas and stuff to be able to pull data. You’re going to have sometimes sampler companies or older companies are going to have data in multiple different formats and different systems, and you’re going to have to be able to be the one who brings it altogether and makes it consistently fit together to tell the story of what’s actually happening with the business. Also, being good with the formulas and stuff allows you to automate a lot of recurring tasks and this really is what makes you end up looking like a superstar when you take something that used to take someone 8 hours, 12 hours, and you compress that down into an hour of work, now you can just get that much more done, you can spend that much on analysis or honestly, you can improve your work-life balance a little bit better and go home at a reasonable hour just because you’re not sitting there doing busy work all day. I’ll give you one quick example. My last FP&A job, we used to have 90 different markets reporting in. Reports would stream in over three, four day period of what happened for the prior month. We’d get them in a PDF format, and my predecessor was receiving these PDFs, we’d go to an internal website, and we’d download each one and read it, enter the data into another spreadsheet. At the end of the day, we would have 90 divisions accounted for. This took forever. It’s probably three times a day we’d go in and spend a half hour or so entering data so we’re spending probably four or five hours total on just data entry. Instead of doing this, I called the person who’s creating these PDFs and said, hey, you guys are getting this data out of a system somewhere, right? Can we just get a CSV file of all of the data that we need and that way I can just copy/paste this into a template I make and it’ll populate everything, we don’t have to worry about fat finger errors, we don’t have to worry about wasting time, we just have the data available as soon as we need it. This saved five hours of month of just busy work that I don’t have to do anymore. Just stuff like that is really easy to automate. The other side of this is, have you ever gotten a work paper or tried to review a work paper that you just, doesn’t make sense. There’s formulas going all over the place and there’s text boxes, and then there’s links to external PDFs. It’s just mess, right? Another one of the skills you kind of learn in audit is how to present data in a way that’s easy to read and understand. This is probably something as first, second year auditor, you’re not going to be perfect on this, but it’s something to consider as you’re moving into corporate finances, see how other people are presenting their data and really take a critical eye to it. Is it easy to read and easy to follow and is there anything you can make better about it? Really take some pride in designing reports and work papers that are easy to read and understand and people will appreciate it because it makes things so much easier when they can just pick up a file or a PDF, glance at it, get the most important information, and not have to call you about it. That’s kind of my long-winded answer of saying yeah, I really do think that audit provided a really good foundation for what you’ll know when you’re going into corporate finance. It’s just probably not in the way you think. All right, next question is, did you feel out of your depth initially when you moved out of corporate finance? Any time you switch a job, that’s how it’s going to be. I mean, say you stayed in audit and you got transferred to a new client in a different industry. You’d feel the exact same way, right? Every job is different, every company is different, there’s a lot of company-specific knowledge you need to learn, there’s acronyms you gotta pick up, there’s stuff like who to talk to about different types of expenses, who knows why the south-east region went over budget, just little things like that add up to take a lot of time when you first are starting up. It kind of feels overwhelming. Don’t worry, there’s going to be a learning curve there pretty much every time you switch jobs in your career. You’re never just going to be able to plug in and be 100% effective on day one at any new job. Just take that with a grain of salt, ask a lot of questions, write stuff down, and just keep making sure you’re learning something new every day and after a couple of months, you’ll look back and everything will seem trivial, you know? The first time you go to train another new employee and they ask all these questions and you go, oh my gosh, I forgot there was a time I never knew that. It’ll really hit you at how much you actually have learned. This is a tough question to answer, this is going to really depend on where you go to where, what kind of company you’re in, what industry you’re in, who your boss is, who your team is, what time of year it is, there’s a lot of different variables here. I can tell you real quick, my first job after the Big 4, responsibilities obviously are different. You’re doing a completely different job, right? My biggest responsibility was weekly management reporting, and that included some financial metrics, some operational metrics. It was an educational company so keeping track of how many students have enrolled, how many students have dropped, average amount each student is paying for credit hour, that kind of stuff, and summarizing that in an easy package. It was the same package every week. Every Monday, I would spend all day Monday running these reports and getting everything ready so that the CEO had these reports on his desk Tuesday morning. Sometimes, that meant I stayed late on Monday. On average, the rest of the week, I would probably work 8:30 to 7:00. I mean, it wasn’t a ton greater than say, working a quarter for a public client or something like that, it was pretty solid 50 hour weeks, 55 hour some weeks just to make sure things get done. Again, I was learning a lot a the time, so I was probably taking a little longer than I should have at some of this stuff, but that’s kind of the reality of it. My second job, I was a little more senior so I had a little bit better hours but I was still consistently clocking 45, 50 hours a week. Again, maybe that’s just my personality, maybe that’s just the teams that I resonate well with is people king of are slightly overachievers kind of pushing things forward, trying to learn some new stuff, not just doing the 9:00 to 5:00 clock out. I bet you could find a 9:00 to 5:00 FP&A job, I just, honestly, I’ve not come across them yet. Responsibilities the rest of the week, you’re basically on call to answer any questions that your boss, anyone higher up than you has about the business. Director of marketing can call and ask about students enrolled in a certain class at certain university going back five years, and they want a nice report showing that. CEO can call and ask about, hey, we’re maybe putting together this deal. Drop everything and put together a model for it. You’re really just, you’re the data guy. Especially if you go to a small company, you’re going to have people from all different departments, once they realize you know how to use excel, you’re just going to get a bunch of random requests and you’ll manage those with your boss to see what you can do and what you can’t do with your other responsibilities. Kind of just a jack of all trades, kind of move around and get everything done that involves reporting, data, financial, anything like that. There’s also going to be responsibilities around improving your weekly reporting package. For example, like I spoke earlier about automating some stuff, you can do that, maybe you bought a new business unit or sold a business unit, there’s going to be just general maintenance stuff that comes up over time that you’re going need to be involved in. Sometimes you’ll need to be involved in the planning and forecasting, so some companies will do this monthly, some people will do it weekly, and some companies do a budget once a year and they just say, hey, this is our budget. When you’re doing that the finance team is really the central organizing force behind all that. You need to be the one who’s reaching out, building the models, communicating with everyone in every department, see what their expenses are going to be for the upcoming year and why. Communicating that up the chain to management to make sure that’s in line with what they’re expecting, and just in general kind of run in point on getting all of the information in, getting it all in the system, whatever that system may be, it might be a bunch of spreadsheets, it might be a dedicated budgeting system or BI tool, and then once you have all the information then you’re going to communicate it out. That’s going to be kind of the remainder of the year. All right, next question, how challenging is the work compared to audit? Again, this is going to be a tough one to answer. If you’re on a complex audit, working on a lot of research and a lot of digging into numbers and who knows what else. Audit can be complicated but generally in your first couple of years, the complications tend to be more time constraints or dealing with clients and not necessarily challenging audit stuff. If you’re planning a new audit, you obviously have a lot of challenges, but if you’re working on a big Fortune 500 company that you’ve had the audit for 12 years, a lot of stuff just roll forward, right? Same could be said for corporate FP&A. 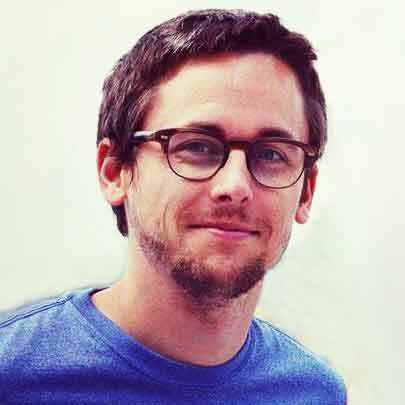 If you’re working at a small, growing company, you’re going to be changing stuff left and right. You’re going to be rebuilding reports, you’re going to be switching to new systems, you’re going to be working with data that’s crap and just all over the place and doesn’t line up, and every time you try to run the same report, you get a different answer, and you gotta figure out why. It can be very challenging. On the flip side, if you’re working at Fortune 100 company and they got a great system and place and you’re just downloading data and putting it into templates, it could be simple on that end. In that case, you might want to find ways to make things look better or find ways to challenge yourself, but at the end of the day, it’s going to come down to the company you’re working for, the boss you have, and how motivated you are to try to find new ways to improve whatever you’re working on. Okay. Let’s scroll down here. Okay. Did you find the work more interesting or rewarding in corporate finance than in audit? This is going to be me, personally, speaking. I did. Number one, I like corporate finance because it’s forward looking. A lot times, you are helping make decisions for where the business is going to go. Obviously at lower levels, you’re just pulling data and communicating with people and figuring stuff out, but you kind of at the end of the day, you have this feeling like, oh, this is going toward something important. If you’re working on a new model for a new merger or a new business relationship or a joint venture, then you see we sign the paperwork, this is happening now, we got revenue coming in. You kind of get that rewarding, like, I was a little piece of that, right? As you go up higher in corporate finance, you get a little bit more of that, you’re working on treasury stuff, you’re working on funding if you’re trying to go on IPO, that kind of stuff, you’re going to be heavily involved in all that. On the flip side, lot of people find audits rewarding. You’re protecting the public markets, you’re finding out errors, you’re helping your clients really get out financials that are better than they were the year before. It really comes down to your personality and what you value in your work experience. All right, and finally, you guys are probably wondering, hey, maybe I want to switch over to corporate finance or FP&A and I’m in Big 4 audit, I’ve been here a couple of years, how do we even go about doing that, right? I’m going to walk you through what my thought process was, and I hope this helps you get your head right and get moving in the right direction. I’d say for me, the move was hardest for me because I didn’t know exactly what I wanted at the time. I’d say probably about 30% of actually making it to FP&A was realizing that that’s what I wanted to do because you get bombarded with emails and calls from recruiters all the time and they don’t know what you want to do unless you tell them. They just assume that you want to do what everybody else wanted to do which was switch over to, say, a senior accountant role. I went on, I don’t even know how many interviews for senior accountant roles when I was leaving, and I just, I couldn’t put my finger on it but none of them seemed like a good fit. I thought maybe I didn’t like the interviewers, maybe the company wasn’t right, maybe I didn’t like the commute. I didn’t really know what it was until I finally realized that, hey, there’s this other job out there that I really think this is what is going to be a better fit for me. That’s when I started telling every recruiter I worked with, hey, I appreciate you thinking of me, it’s great working with you, but in the future, I’m only interested in this kind of job. I’m only interested in FP&A roles. I thought I wanted a smaller company at first, so I went to a small company. You can tell them whatever you like, but tell them here’s what I’m thinking, here’s what I’m looking for, if you have anything like that, call me immediately. If not, thanks, but no thanks. Once they know what you want, they can figure out what box to put you in and then it’s luck of the draw if an offer, a job comes across their desk and they’re looking for somebody and they think of you, you’re in. This stuff does take time, and it takes communication, and it takes reaching out to multiple different recruiters in your area to find one that is willing to work with you and happens to have a job at the same time. Once you learn what you want, you gotta go out and get it. I’d say another 30% of the job search was probably just working really hard to first, write a great resume, and second, I spent so much time practicing my interview skills, it’s not even funny. You go over the behavioral interview questions and learn how to answer them, and then you practice in the car, and then you record yourself on the your phone, and you take a little video of yourself, I mean, it’s kind of in depth. You really gotta put in the work to practice this so that when you show up to the interview, you come off as confident and natural. If you’re looking for any advice on that kind of stuff, head over to abacusshow.com/learn. Lots of courses on there for pretty much anything you need to know about your job search. Just head over there. I think we still have a resume template that you can download for free. If not, shoot me a quick email bob@cpatalent.com, and I’ll send you that. So, really, there’s no excuse, you have to put in the work upfront, get your resume looking right, use the right format, spend some time editing out all the non-important stuff, get rid of the fluff, just make it easy to read and understand, and make sure you showcase the most important accomplishments for the job you’re looking for. Probably another 30% of the job search is going to be building relationships with recruiters in your area. So, when you get those annoying cold calls you hate so much or when you get those emails, obviously you can’t take a cold call from a recruiter in the audit room, but just say hey, could you just email me that information and I’ll call you back later? Call them back when you get off work at 6:00 or 7:00 at night. They work at night, don’t worry. They’ll pick up your call because they want to get a hold of you. What you might not know is if you come across poorly to a recruiter, they’re not going to want to send you out to companies because it makes them look bad. What you want to do is convince them that you’re a high-quality candidate. In recruiting terms, they call this a Most Placeable Candidate. If you can convince them that you know your stuff, you’re looking for a job in a reasonable price range, and you have a good experience, they’ll actually go out and start calling tons of companies in the area being like, hey, I got this guy, Bob, he’s good, you gotta interview him. As opposed to just passively waiting, kind of la-de-da, I got a few people, you want to take a look, you know. So, what you want to do to impress recruiters is if you say you’ll call them, call them at the time it’s said. If you send them a resume, make sure you’ve edited the resume and it looks good before you send it over. Honestly, if you’re looking for a job in the next six months, I’d say start on your resume now because you’re going to spend so much time going over it and reviewing it and you just want to have it ready when you need it. When you do finally get around to meeting a recruiter in person, dress professionally, wear a suit, show up on time, smile, make good eye contact, just like you would for a normal job interview because how you look there is how they’re going to assume you’re going to look to their clients. If you don’t pull off a good first impression with the recruiter, they’re not going to want to send you out. Start building these relationships, start making yourself look good to these recruiters, and eventually they’ll want to send you out to their clients. Then I hate to say this, because people hate it, but honestly about 10% or so about any job search is just going to be luck of the draw. What’s available at the time you happen to be looking. Did somebody just quit your dream job and you slide right in or do you gotta wait two, three months for an opening to open up? It’s going to depend on your area, on your experience level, on what kind of jobs you’re looking for, what kind of company you’re looking for, that kind of stuff. A lot of it just ends up being luck so you gotta just roll with it, that’s life. Just do your best to increase the odds and see what happens. All right, so that kind of summarizes how to find a job, get your resume right, practice your interview skills, find a few recruiters in town you like working with, and make yourself as marketable as possible to them, and make sure you let them know, hey, I’m only looking for these kind of corporate finance jobs, otherwise they’ll send you out to pretty much anything you’re willing to go to go to an interview for. I know this makes it sound easy, just breaking it down into these few steps. It’s a simple process, but simple doesn’t always mean easy. 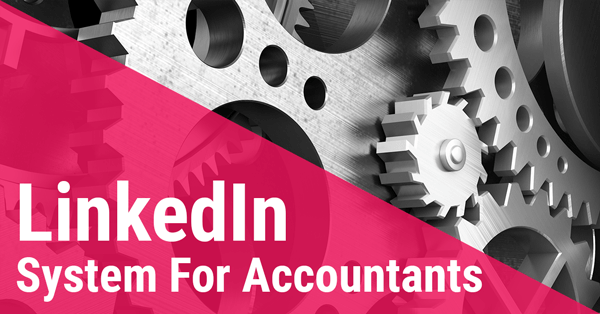 Like I said earlier, I will be around in the LinkedIn group to answer any questions you have and if it’s a private question, just feel free to email me, and I’ll do my best. All right guys, that is it for today. Thanks for listening, and I’ll see you next time right here on the Abacus Show. Reddit: Has Anyone Successfully Transitioned from Big 4 into FP&A/Finance And Have Advice?